THE GUYS NEXT DOOR is an intimate portrait of a real "Modern Family:" Meet Erik and Sandro, a gay married couple whose friend Rachel is a surrogate for their two daughters. Rachel, who is in her 40s, is married to Tony and they have three children. Together, they form a unique extended family. 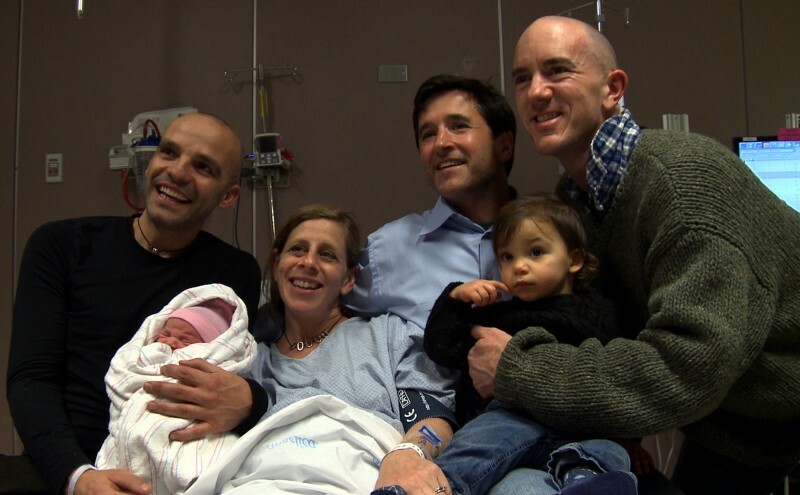 Spanning over three years, this lyrical documentary tackles some of the most pertinent issues of our time: gay marriage and parenting, surrogacy as a path to having children, and the extension and redefinition of what it means to be “an American family.” Elegantly shot and edited, and told with candor and humor, THE GUYS NEXT DOOR is an inspiring story of family, friendship and gay rights. Directors Amy Geller and Allie Humenuk, as well as many of the film's subjects, will be joining us for this screening.